We might have mentioned this in our email but we didn’t give you the exact details (unless you found them yourself) but Jane Brody is currently over from LA and offering some amazing sessions. If you are thinking you want to know more, then don’t miss these…the first event is even FREE. Jane’s CV is extensive, and her industry experience is invaluable, especially if you are ever considering LA. 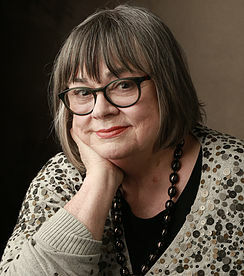 Jane has taught Oscar and Golden Globe nominated actors (eg Michael Shannon – Superman: Man of Steel, Mud, Midnight Special, Boardwalk Empire) and Emmy award winning Actors (eg Eric Stonestreet – Modern Family) and received the casting society of America’s Award for casting the Coen brothers Film “Fargo” (among numerous other credits). She is best placed to teach on all aspects of the acting business: from the art and science of it all the way to it’s often challenging business part. Free Lecture followed by Q and A as Jane talks about Stanislavski, the link to the latest neuro-scientific research along with the business of acting. Places are limited and strictly first come first served! Email paul@paulmclaughlin.co.uk to register. Following the lecture Jane will run a cold scene reading workshop: 12 – 2pm. Tickets are only £20 and limited to just 10 actors. Jane has taught Oscar, Golden Globe nominated and Emmy award winning actors and cast films for the Coen brothers including Fargo, so can offer unique insights and invaluable advice. Email paul@paulmclaughlin.co.uk to register. Don’t miss these opportunities to update your acting CV with some bonafide US training…or at the very least, to find out more about who Jane is and the incredible people she has worked with and shaped over the years.